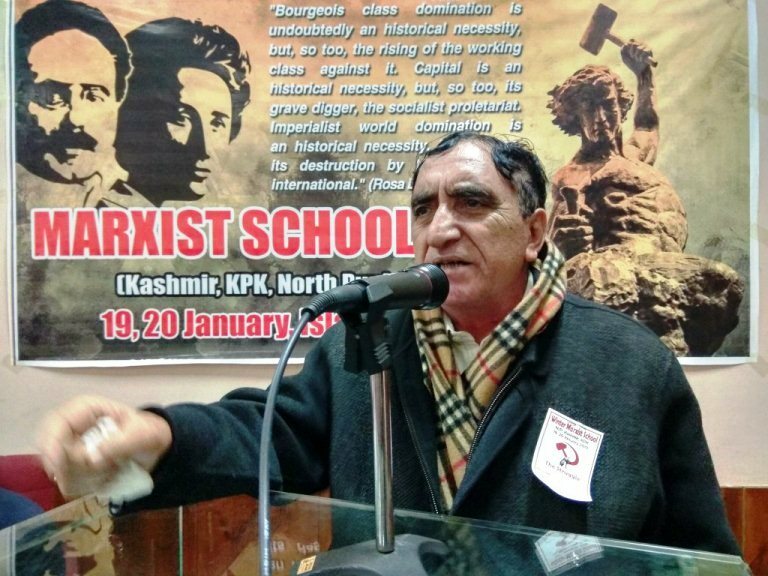 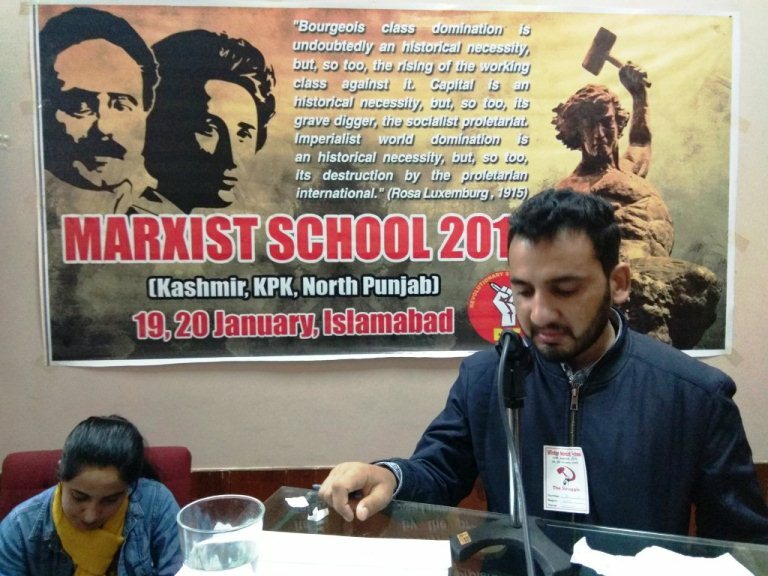 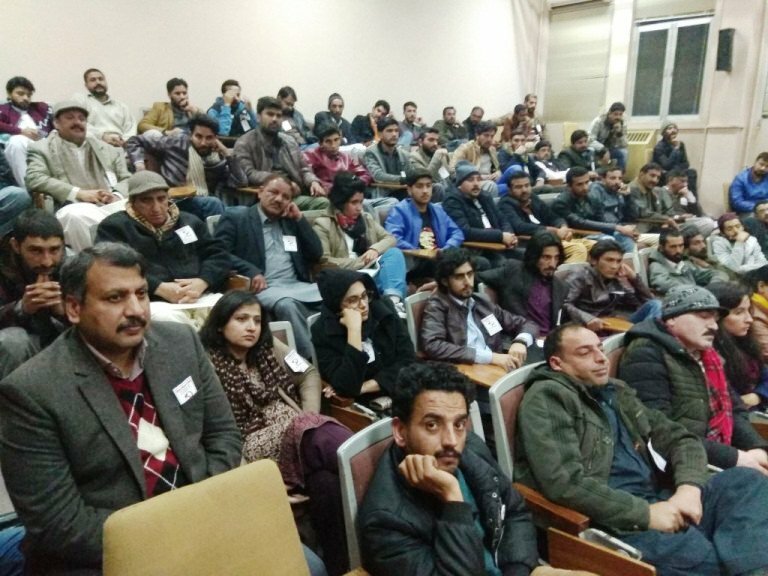 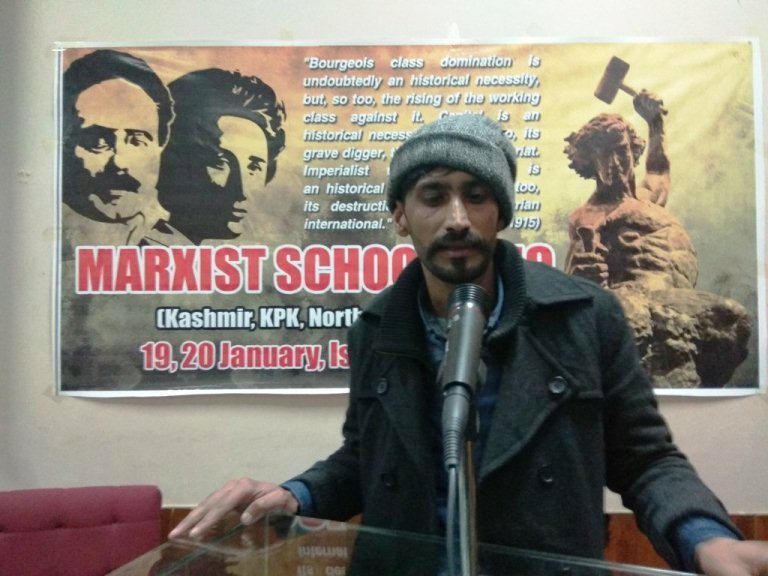 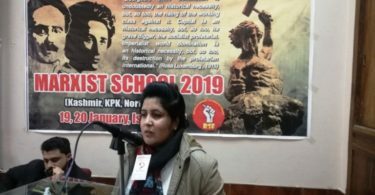 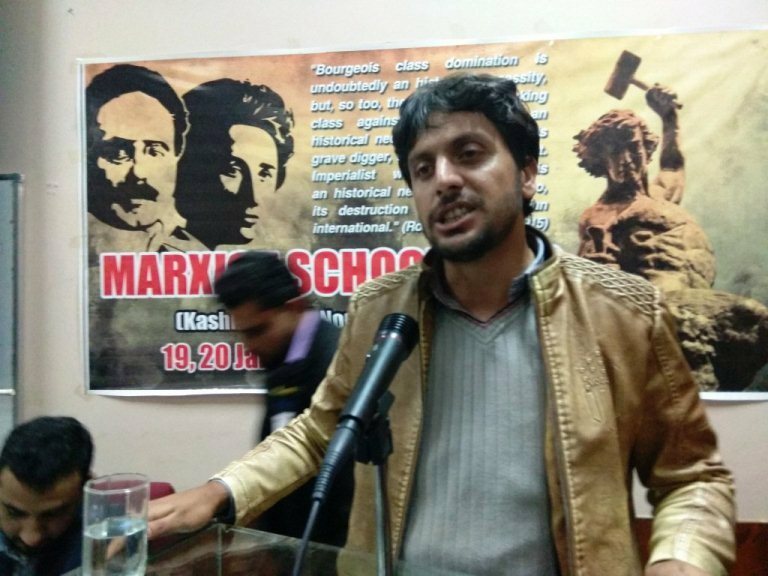 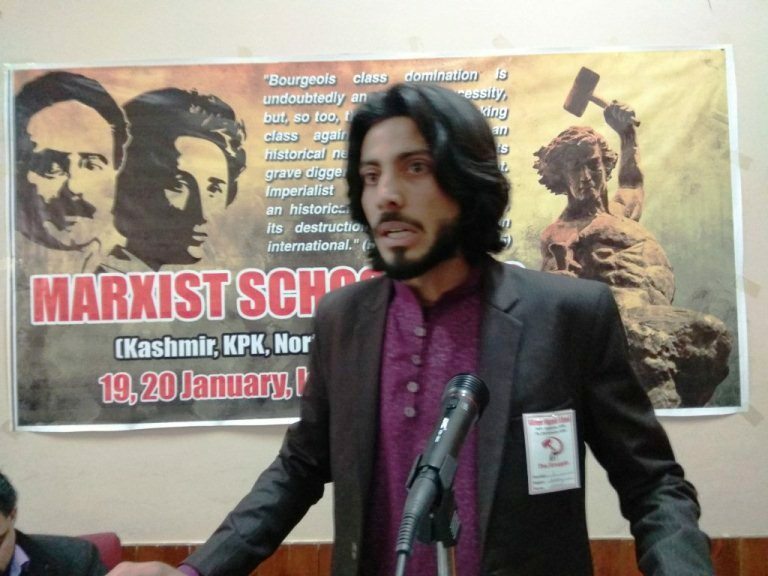 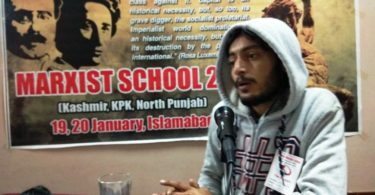 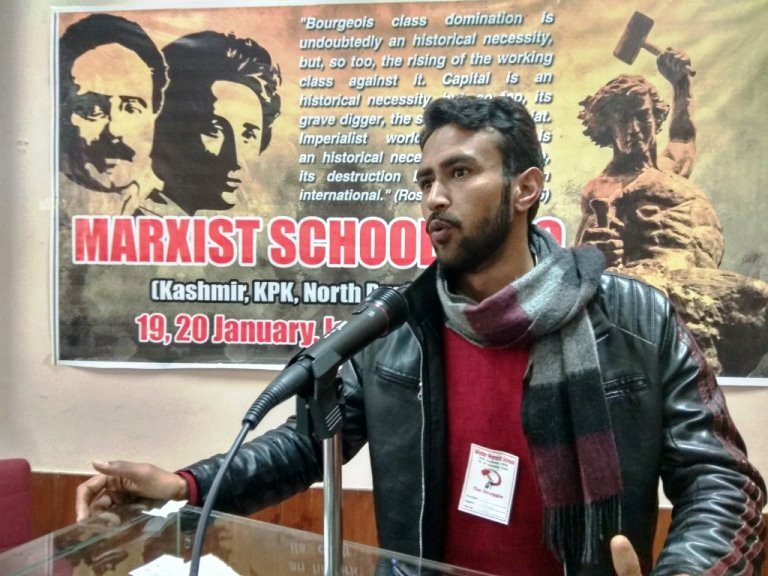 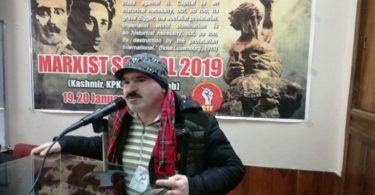 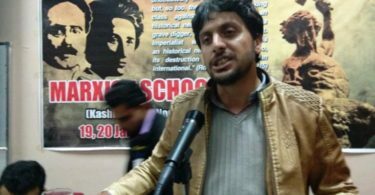 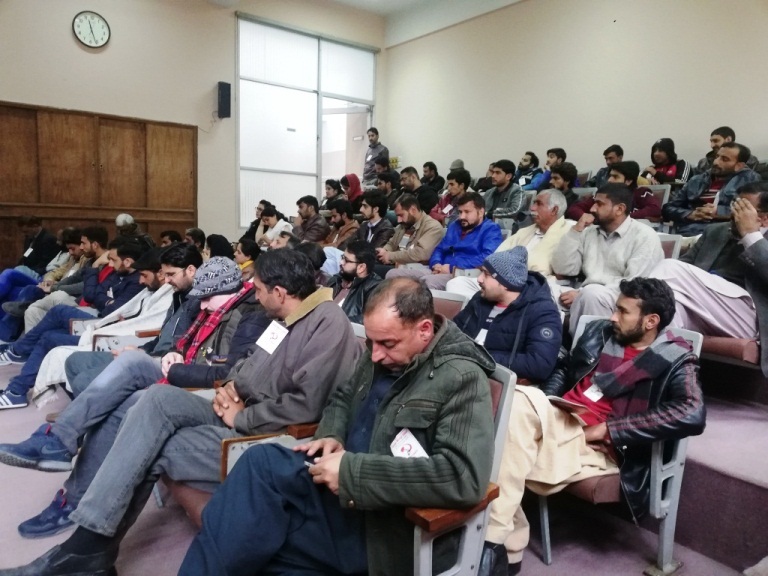 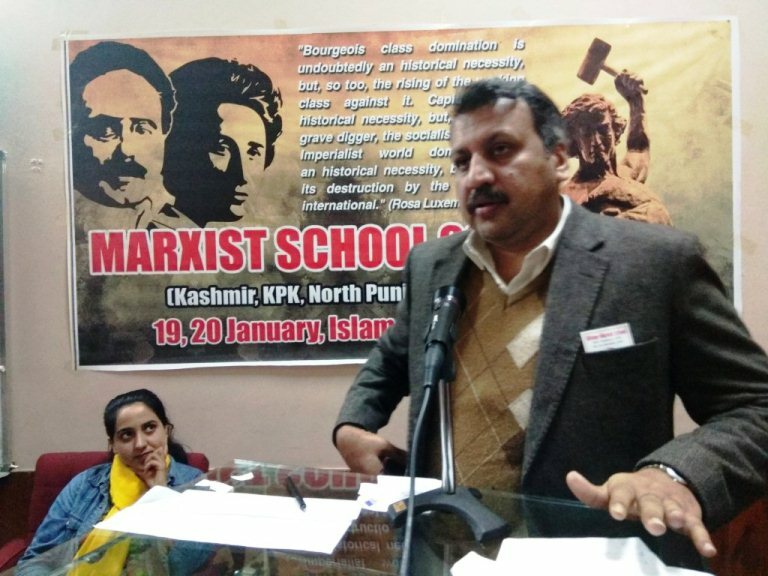 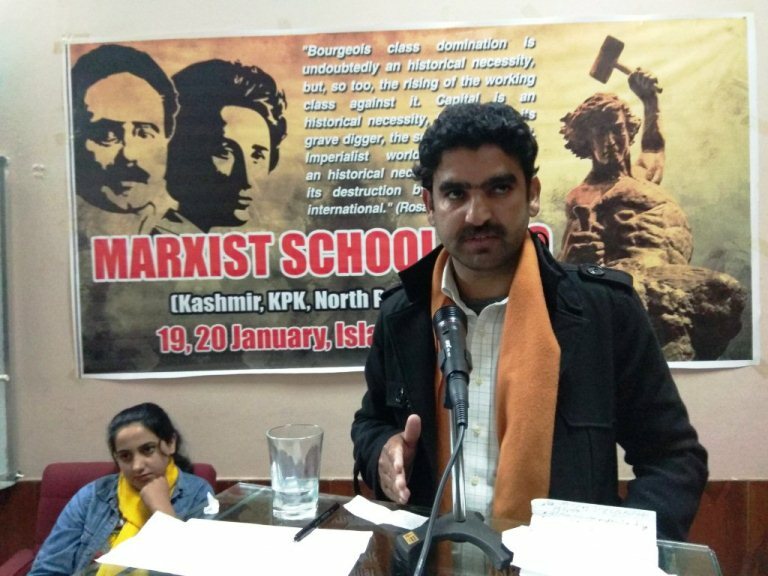 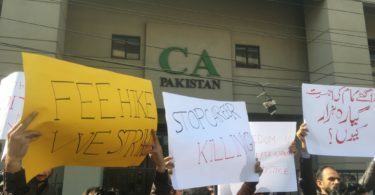 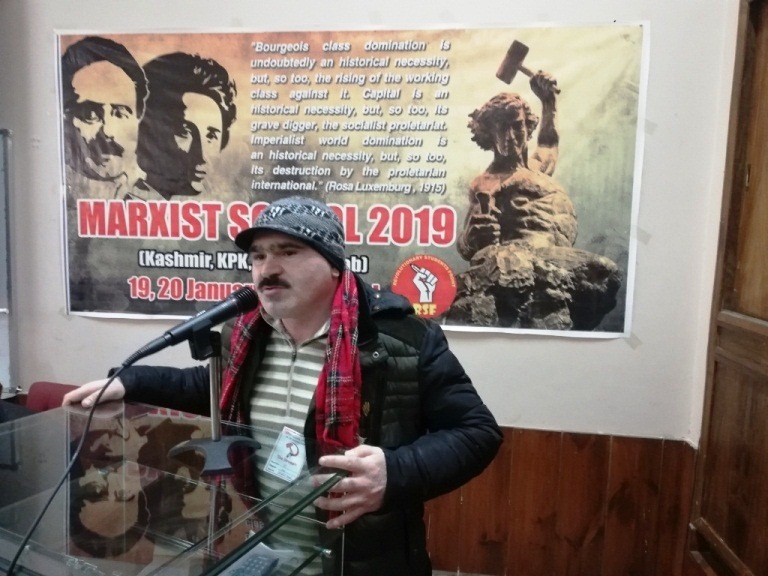 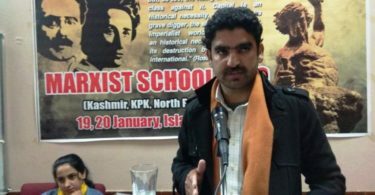 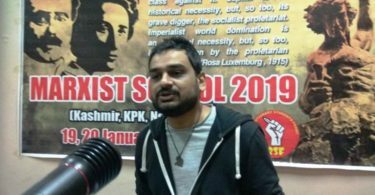 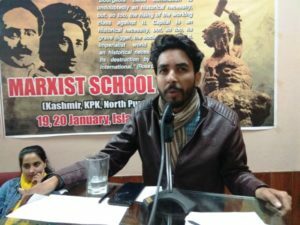 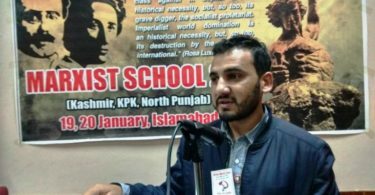 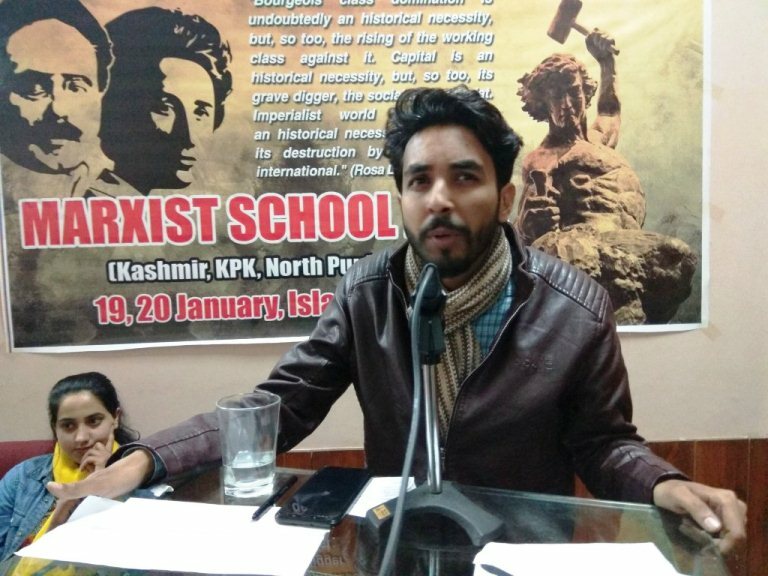 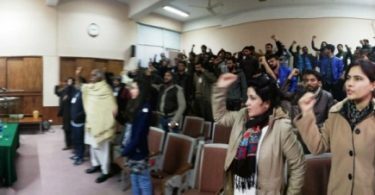 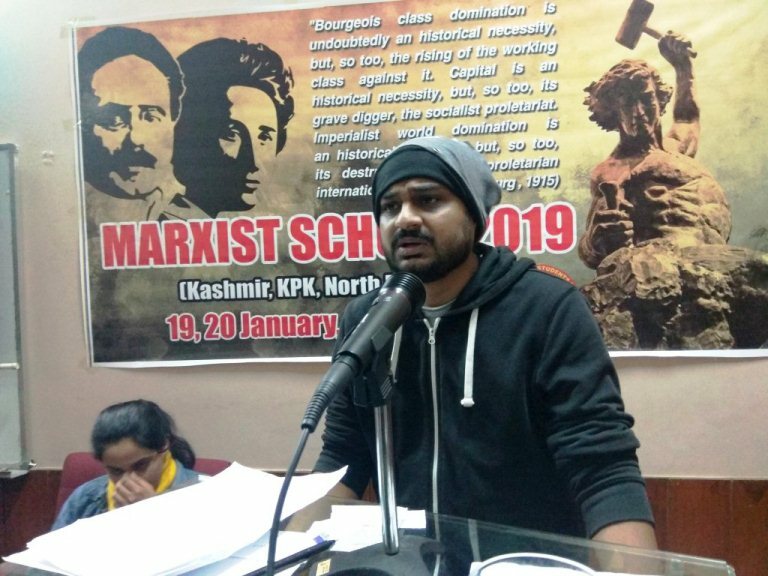 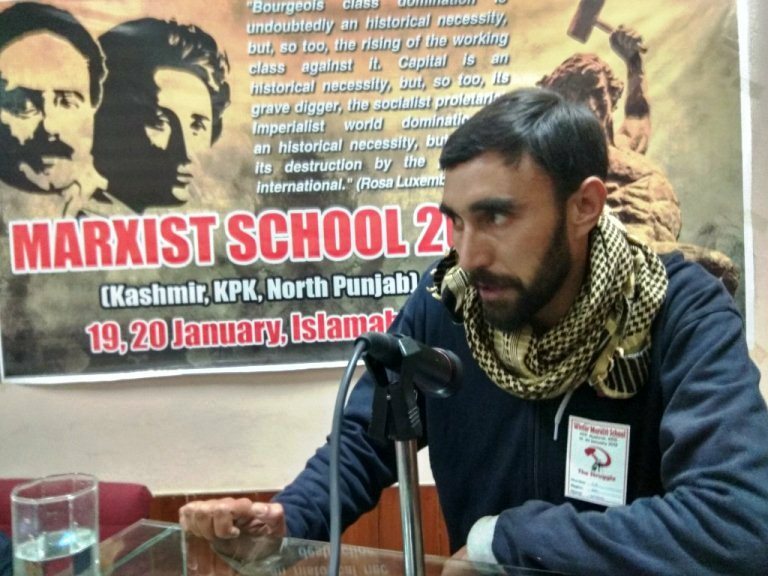 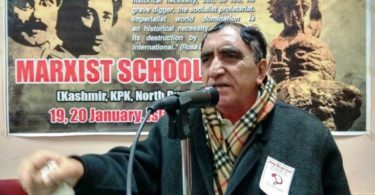 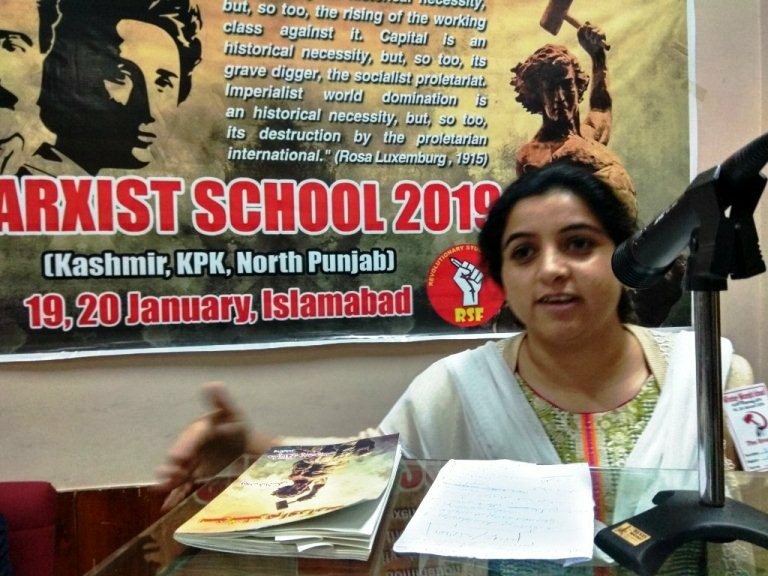 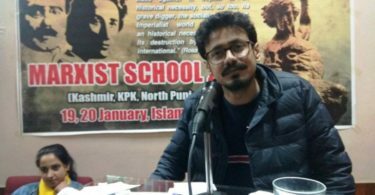 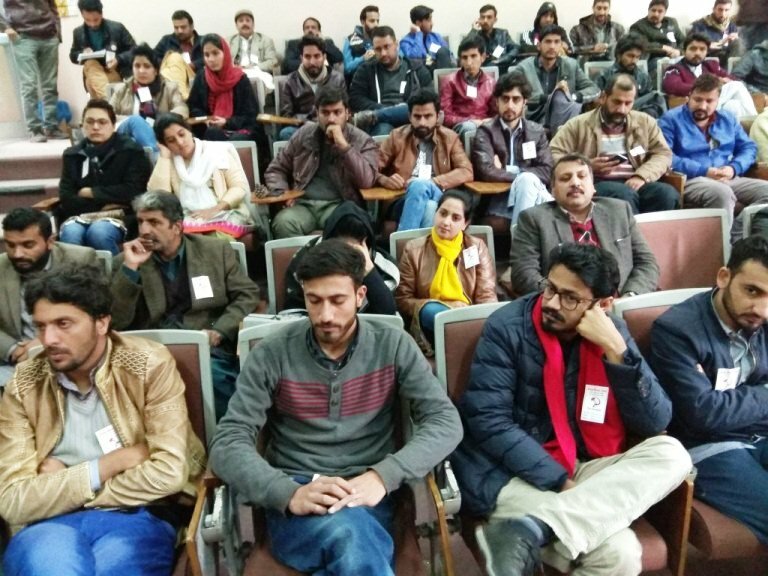 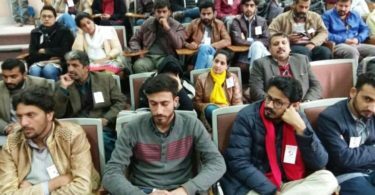 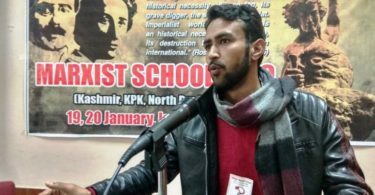 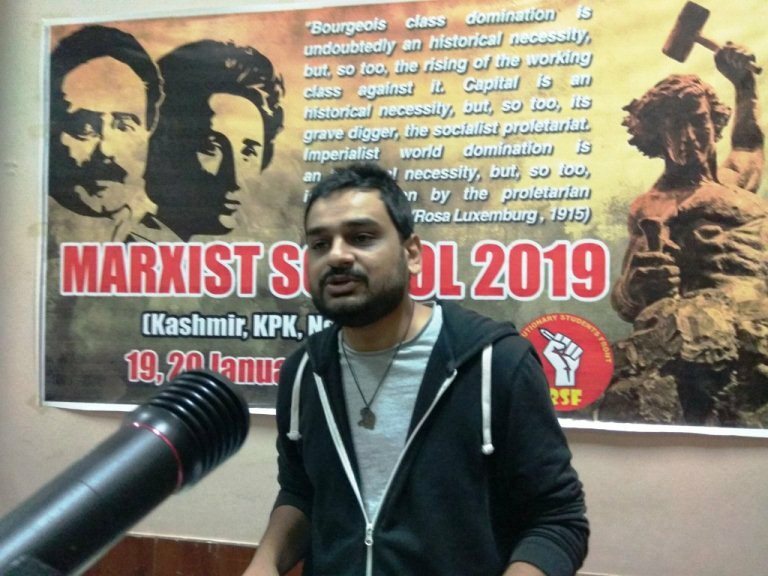 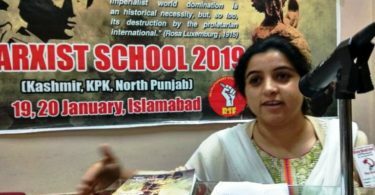 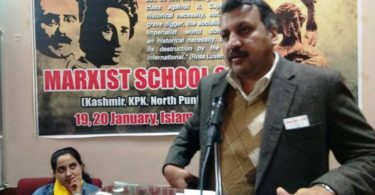 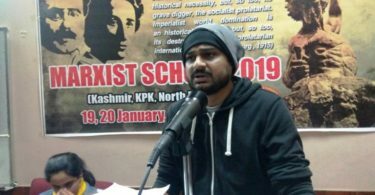 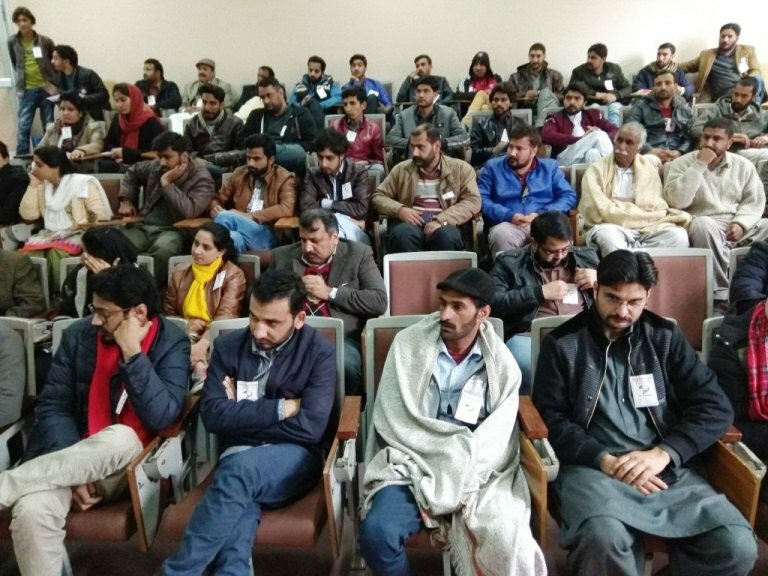 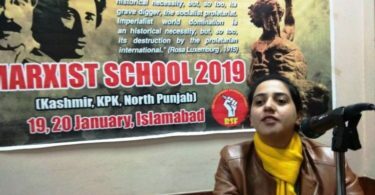 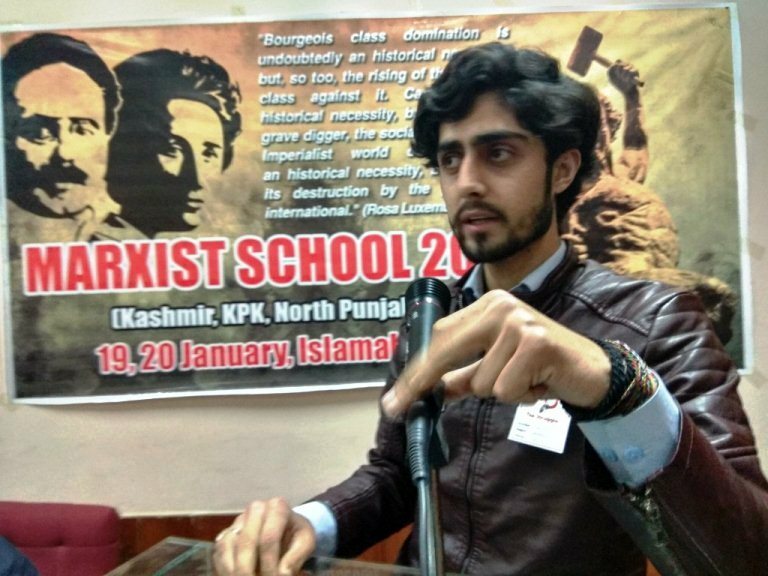 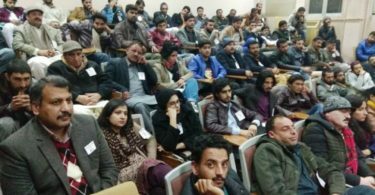 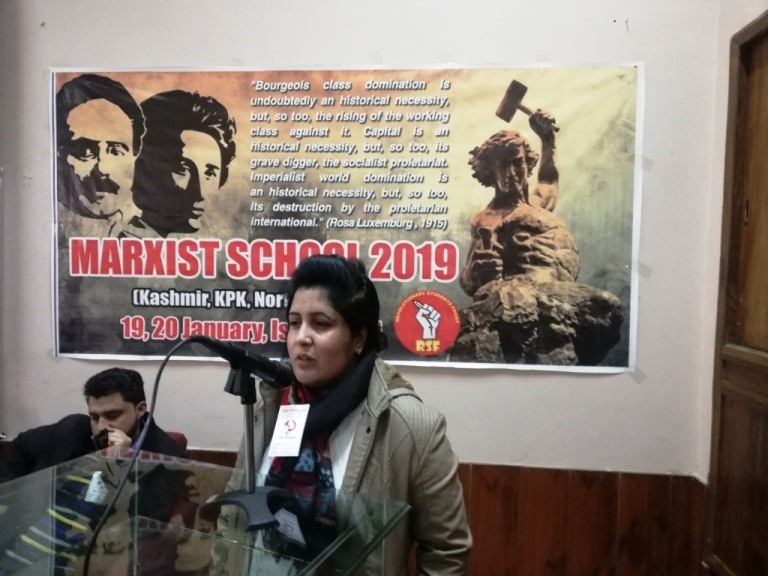 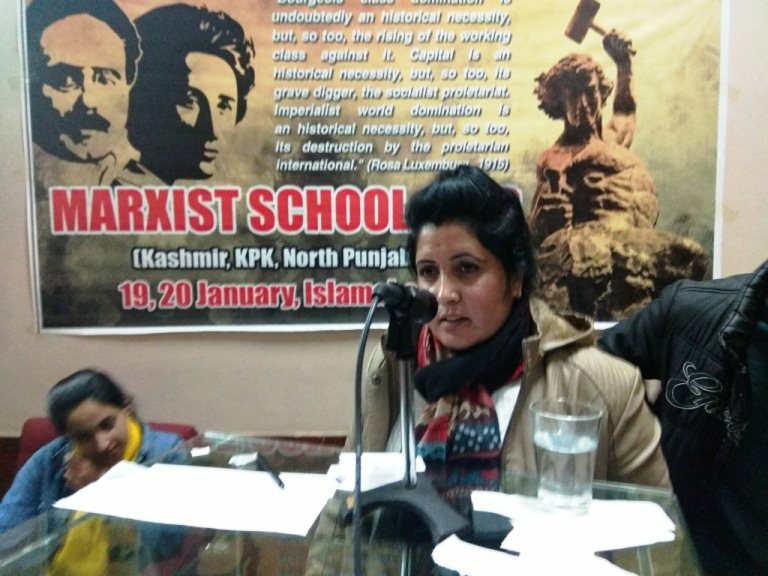 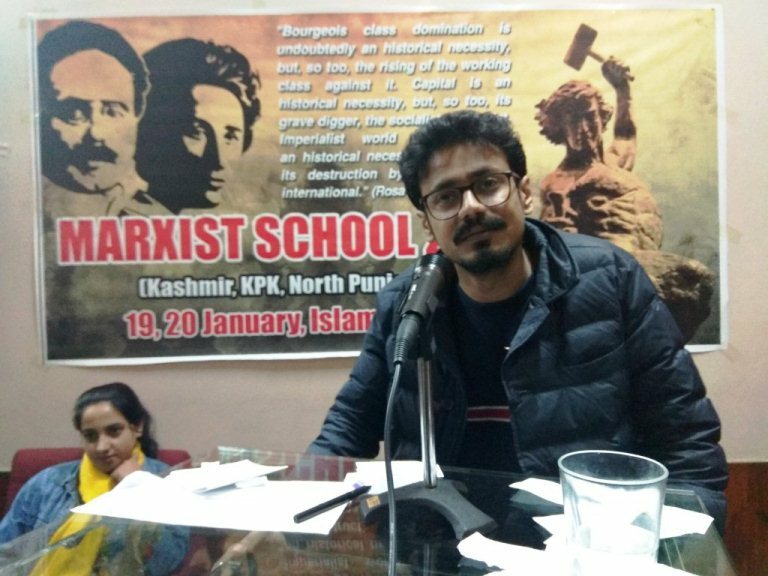 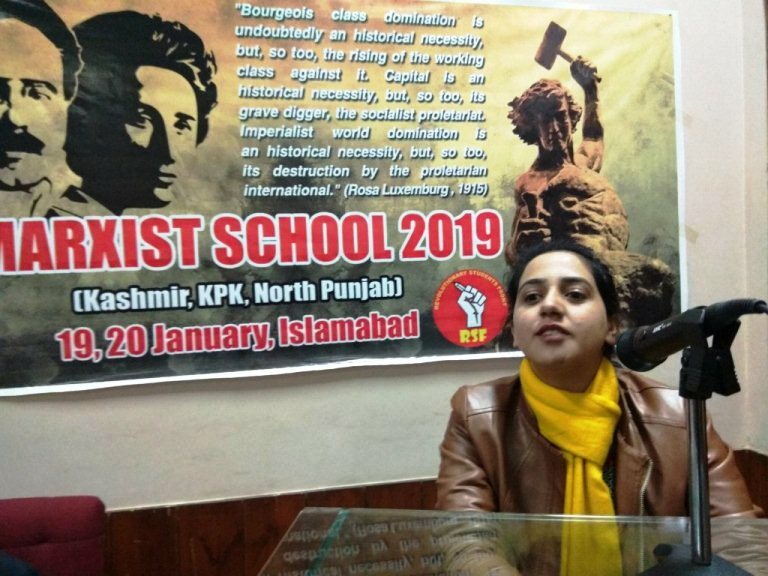 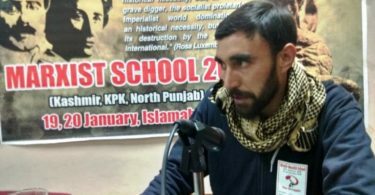 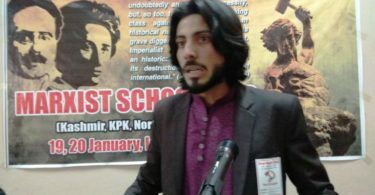 Following the Students Rights Conference, a Marxist school was held on 19 and 20 January 2019 in Islamabad by Revolutionary Students Front (RSF). 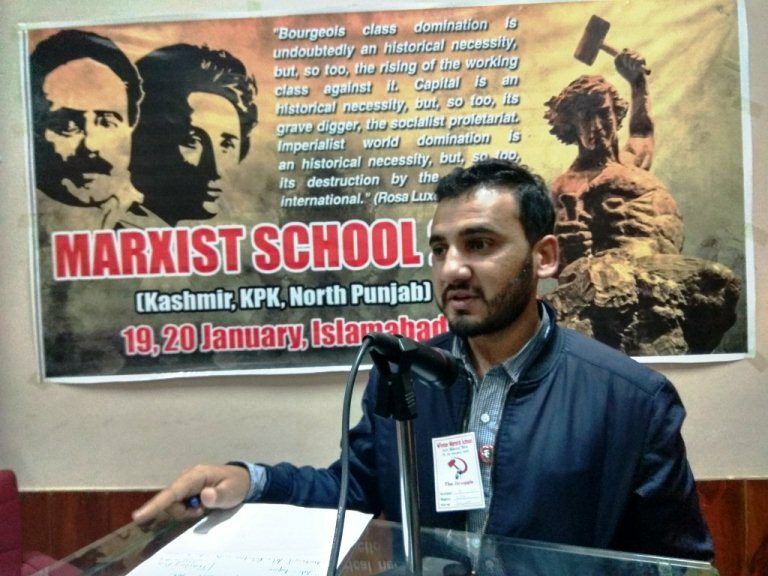 Comrades from North KPK, Kashmir & North Punjab participated in the school. 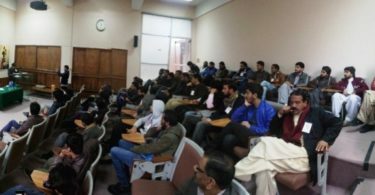 A total of 80 youth were in attendance. 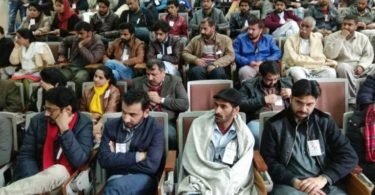 There were three sessions of discussions spread over two days. 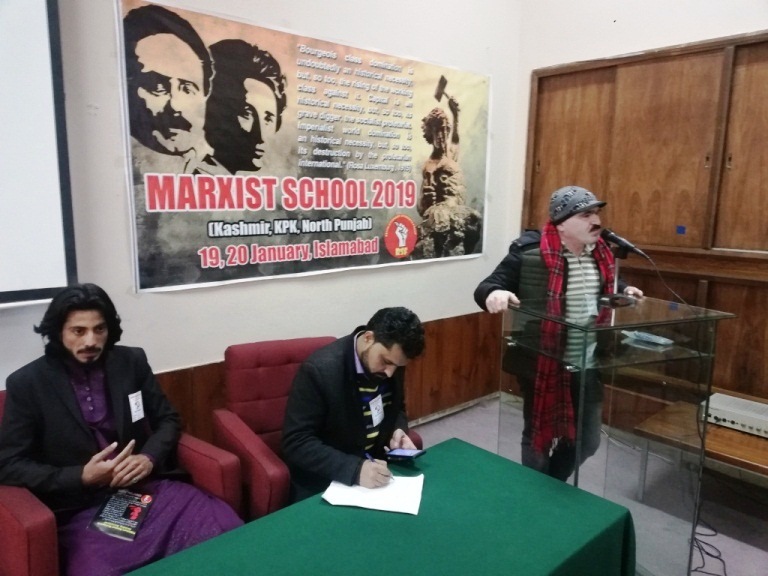 The school was dedicated to the two great revolutionaries, Rosa Luxemburg and Karl Liebknecht, paying tribute to them and their revolutionary struggle, on their death centenary. 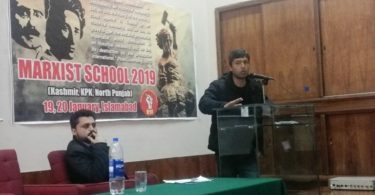 Zafar Ullah, from the host region, formally opened the school debate on the morning of 19th January. 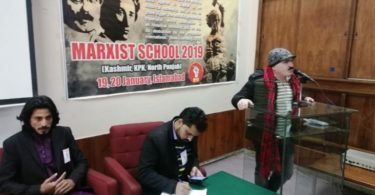 He welcomed all comrades and outlined the importance of school and the objective conditions in which this activity was being held. 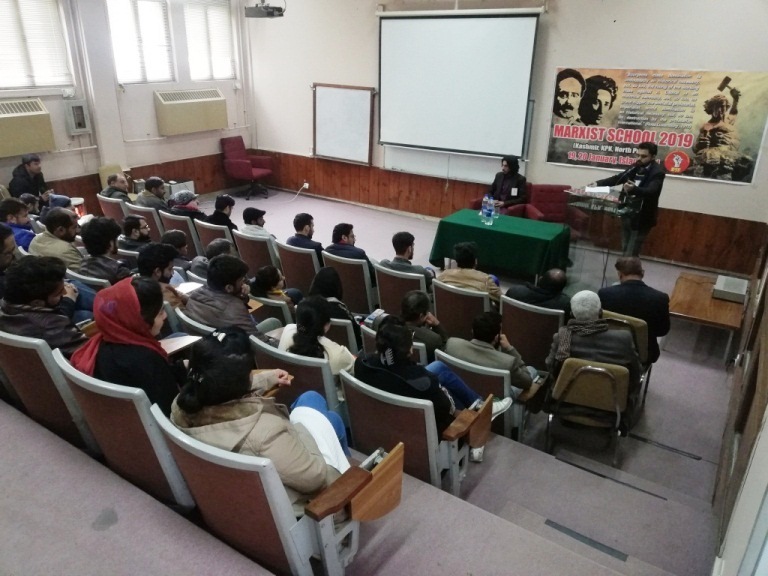 The first session of the school was “World & Pakistan Perspectives” and this was chaired by Haseeb Ahsan from Rawalpindi and led by Murawat Rathore form Muzaffarabad (Kashmir). 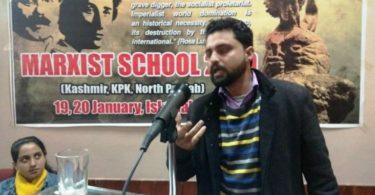 Rathore provided a detailed analysis of the economic, social and political situation prevailing in the world, he specifically focused on the character of “Yellow Vest Movement” in France and beyond. 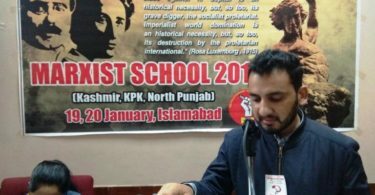 He went into detail on the crisis gripping the world and in particular Pakistan and the condition of the working class and the movements. 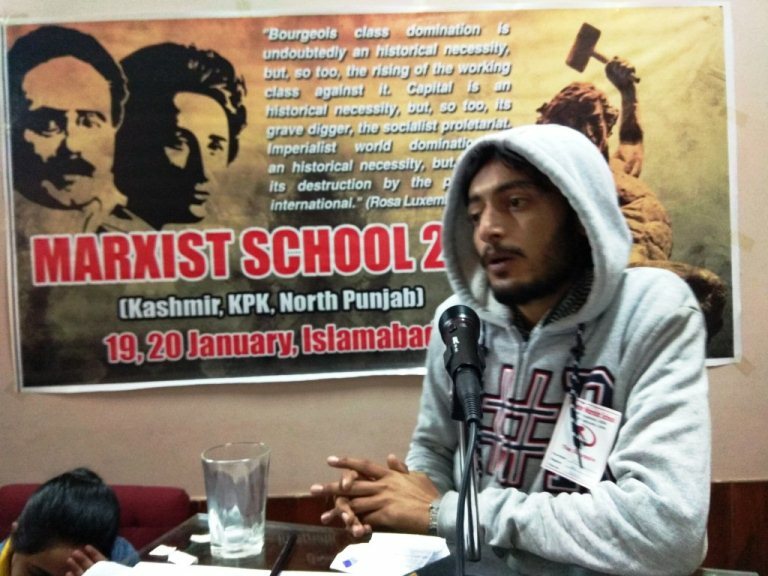 After the leadoff comrades asked detailed questions and contributed to the discussion. 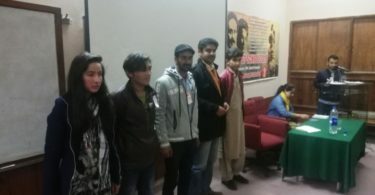 Awais Qarni, Ammar Yasir, Altamash Tassaduq, Haris Qadeer, Asif Rasheed and Imran kamyana took part in the discussion. 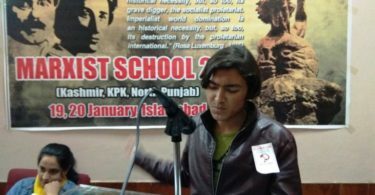 Saad Nasir from Palandri (Kashmir) answered the questions and summed up the whole discussion on World and Pakistan Perspectives. 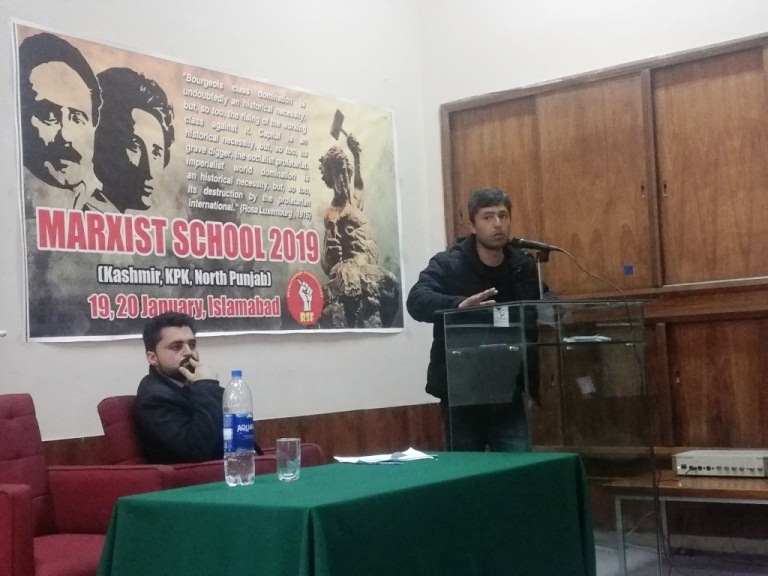 After the Lunch break, the second session was conducted on “Socialism and Art”. 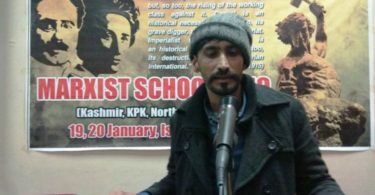 Which was based on the newly published book by The Struggle Publications with the same title. 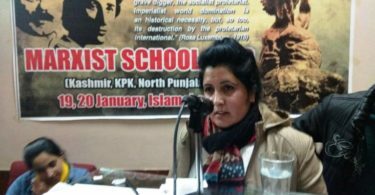 The session was chaired by Sangee bacha from Peshawar and Rehana Akhtar from Rawalpindi led the discussion. 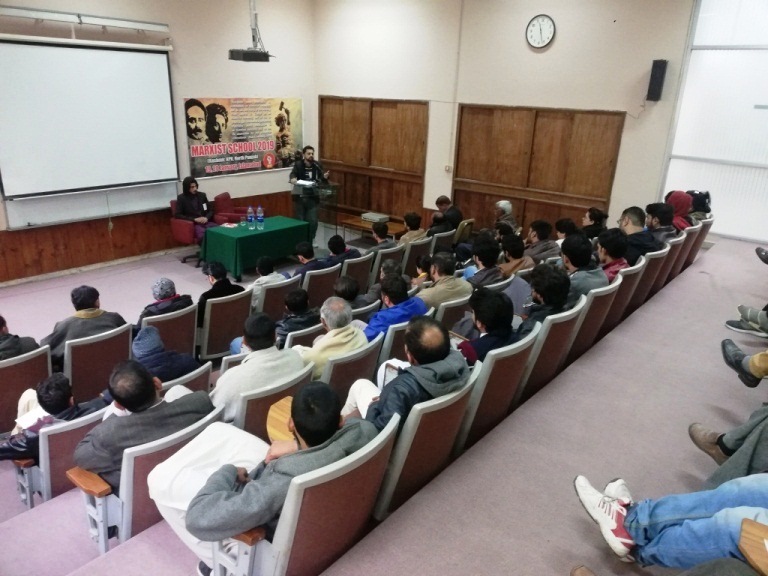 After leaf off comrades asked questions and took part in the discussion. 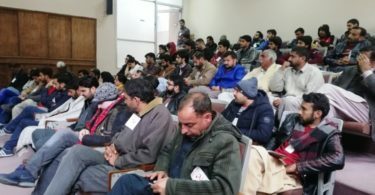 Sabia Akhtar from Kashmir, Awais Qarni from Centre, Haseeb Ahsan from Islamabad, Altammash Tassaduq, Bushra, Rashid Baghi from Kashmir and Waqas Bashir made interventions and answered some of the questions raised during the discussion. 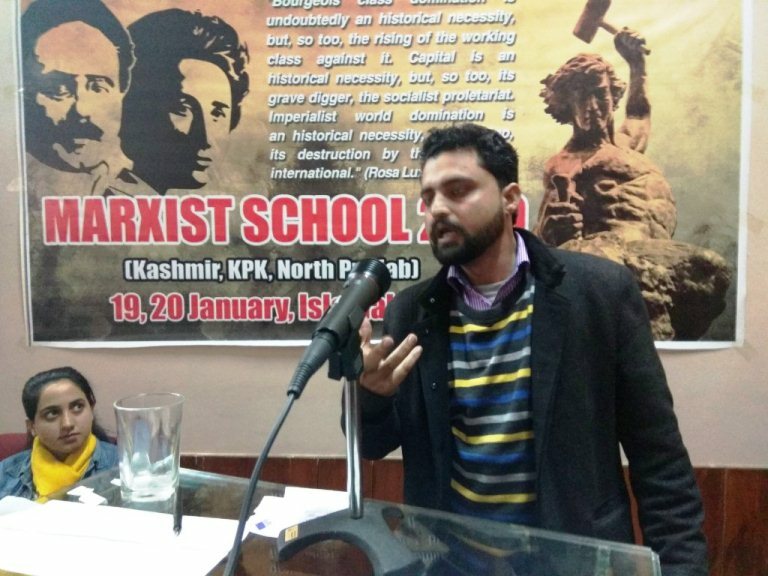 The session and the day came to an end with a summation delivered by Imran Kamayana from Centre. 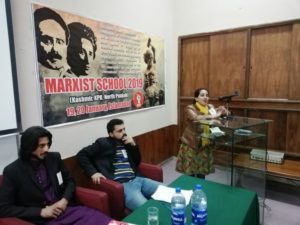 Third and last session of the Marxist School took place on the 20th January 2018. Sabia Akhtar from Kashmir chaired the session and Mujtaba Bandey from Rawalpindi opened the discussion on “History of Student Politics and the Role of Youth in Building of Revolutionary Party”. 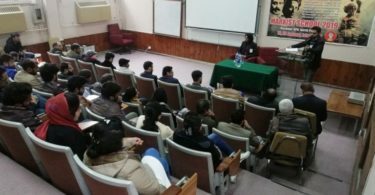 He outlined the role of youth and students in mass and revolutionary movements throughout the history of Pakistan. 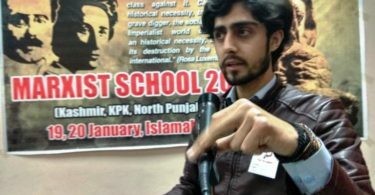 Mujtaba went in on the question of the student politics and its character in Pakistan. 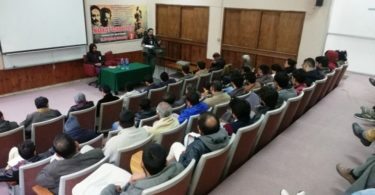 After the leadoff comrades from different regions discussed the situation of their regional work amongst the youth and took targets. 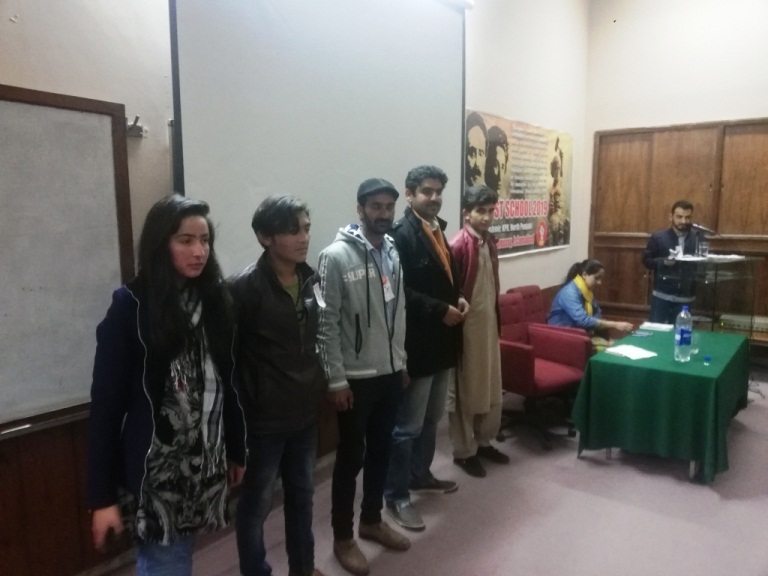 Afterwards, Saif Mandahar, Abrar Latif, Zafar Ullah, Kamran Khalid and Imran Kamyana took part in open discussion. 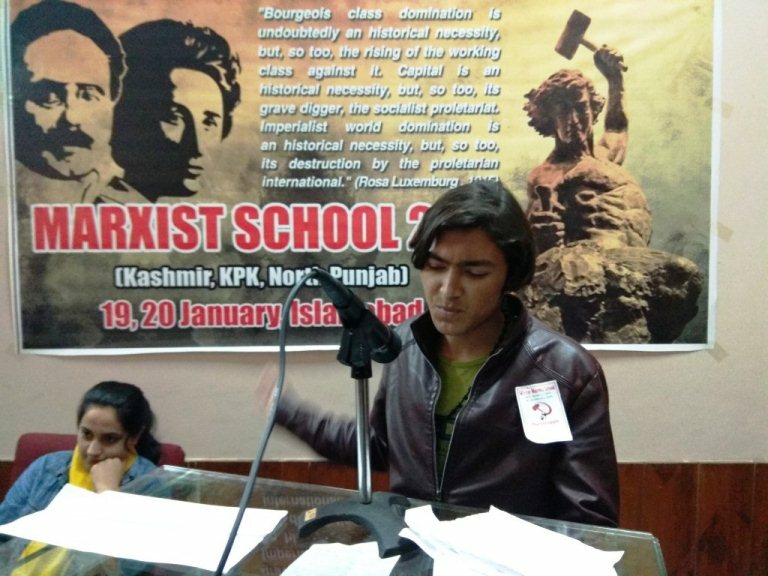 Asif Rashid from the host region presented the school’s finance report and Awais Qarni concluded the school in his closing remarks. 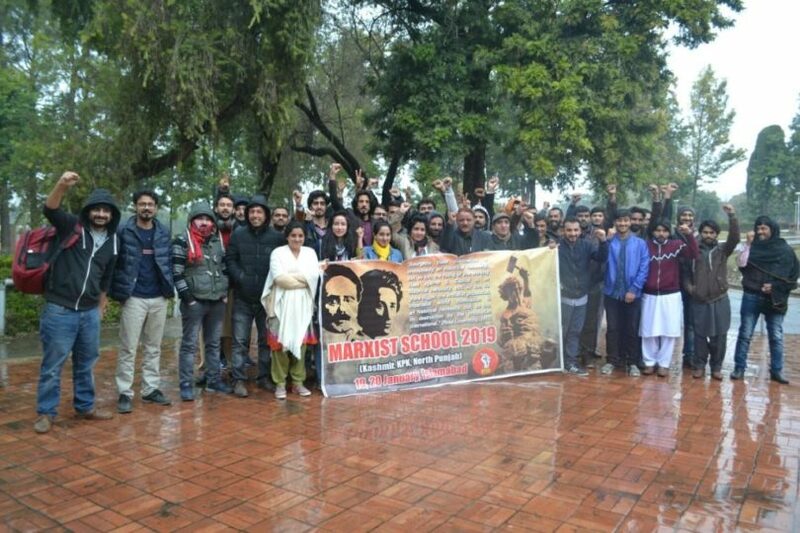 This Marxist School was formally concluded by singing Workers’ Internationale. 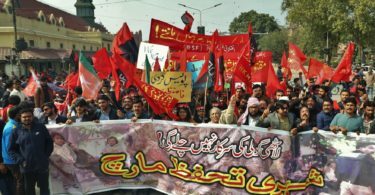 Comrades chanted slogans with the enthusiasm that could and will shake the capitalists in their palaces along with their system of oppression and exploitation.